Make your own teriyaki glaze with a few simple ingredients. Perfect on grilled pork, chicken, beef or seafood. Admit it. 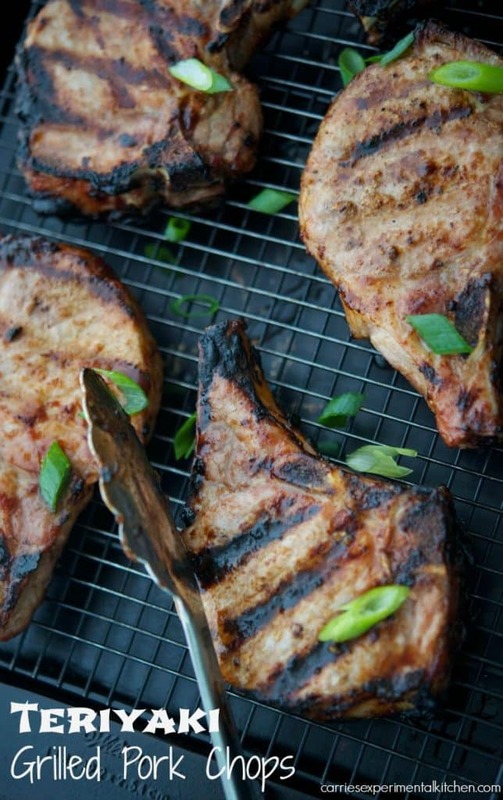 You can’t wait to dive into these Teriyaki Grilled Pork Chops. Am I right? Well let me tell you that they taste just as good as they look! I’ve been in an ‘Asian-cuisine’ type of mood lately and wanted to make a simple recipe for grilled pork chops for dinner, but didn’t have any teriyaki sauce. So, I made my own. 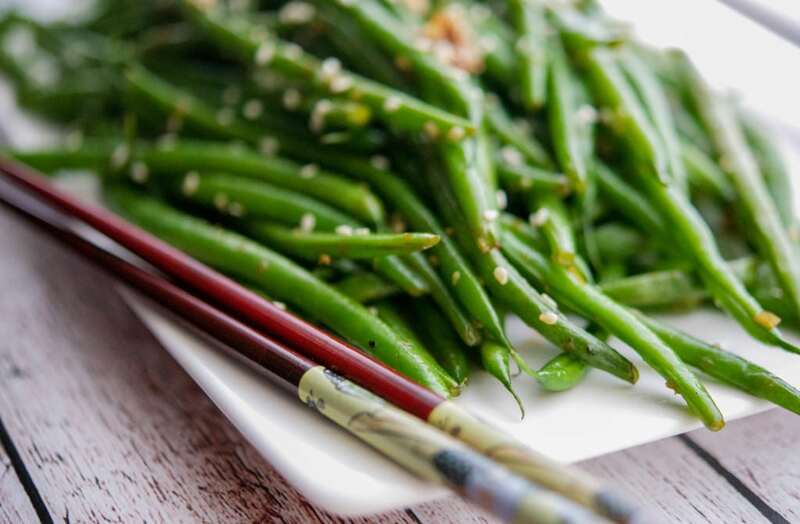 It’s really quite simple and consists of four ingredients: soy sauce, honey, ginger and cornstarch. You can also add some sake (Japanese wine) as well, but I didn’t have any so this is my make-shift version using ingredients I had in my pantry. Looks good to me! Combine the ingredients together in a small saucepan, whisk, bring to a boil; then simmer until your desired consistency. I wanted mine to be thicker, more like a glaze, so that I could baste it on my pork chops as they were cooking and it only took about 7 minutes. 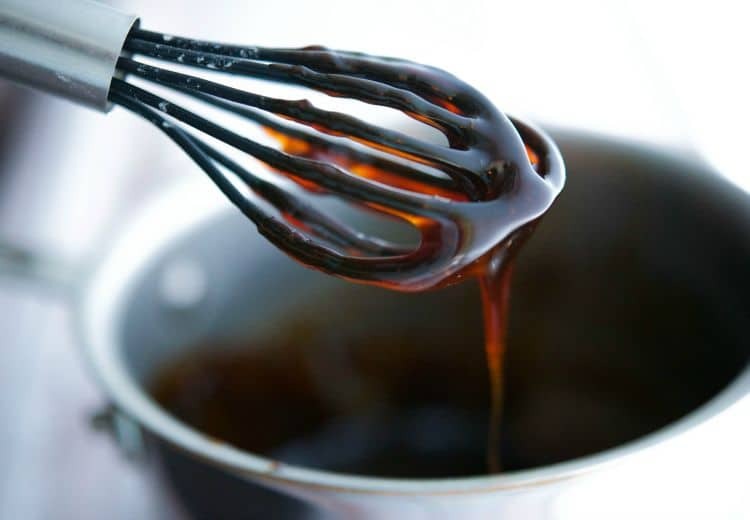 If you want to use the teriyaki sauce as a marinade, cook the mixture for only 1-2 minutes then allow to cool completely before marinating the meat. 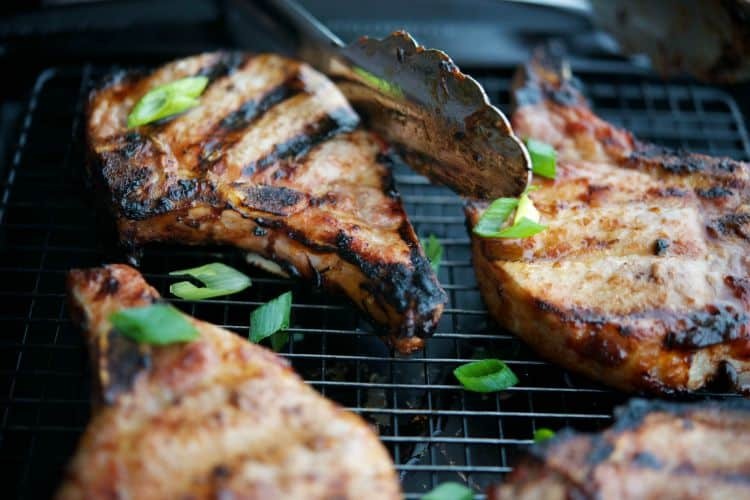 Once your teriyaki glaze is ready, preheat your grill; then brush the glaze on the pork chops and grill until desired doneness (minimum temperature 145 degrees F). 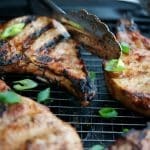 These Teriyaki Glazed Pork Chops were FABULOUS and my family really enjoyed them. Because hubby and our eldest daughter usually get home much later for dinner and have to usually reheat their meal, I cooked ours to the minimum temperature, refrigerated them; then baked them in the oven when they were ready to eat their dinner. Perfect and juicy! 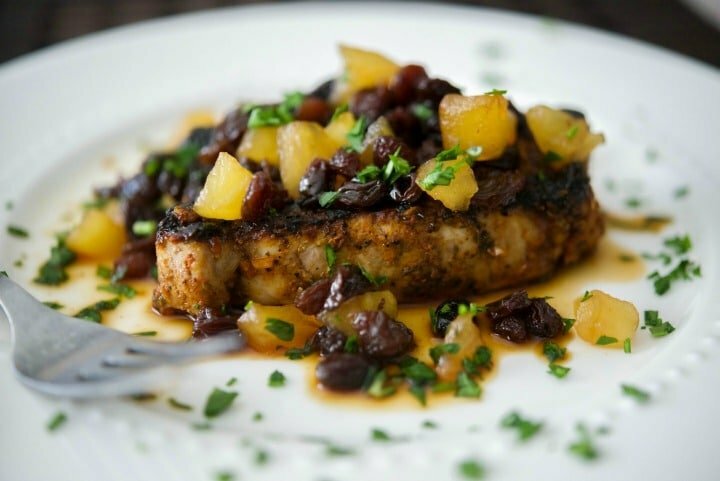 This glaze would taste wonderful on grilled chicken, ribs, steak or even seafood; it’s pretty versatile. The best part is that dinner is ready in 20 minutes! I mentioned earlier that I’ve been in the mood for Asian cuisine so I served these pork chops with Sesame Ginger Sauteed Haricot Verts and steamed rice. Look for the recipe next week but here’s a teaser photo….they were SO good!! ~Enjoy! Combine the soy sauce and cornstarch in a small saucepan over high heat until there are no lumps; then add the honey and ginger. Whisk well to combine. 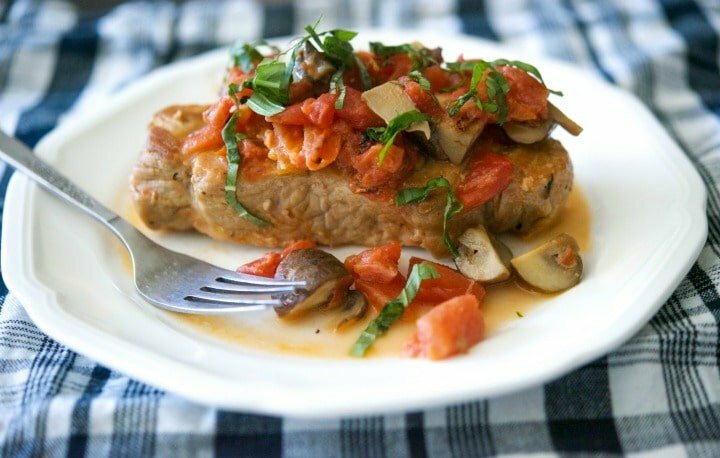 Bring to a boil, reduce heat; then simmer 1-2 minutes for a thinner sauce or 3-5 minute for a thick glaze. 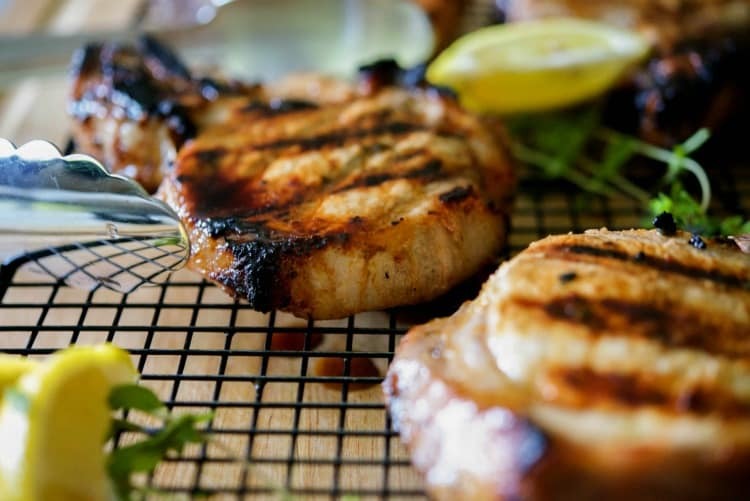 Brush the glaze on the pork chops and grill until desired doneness (minimum temperature 145 degrees F) approximately 5 minutes per side; brushing more glaze on as it's cooking.